Your Cabo vacation is filled with tours, adventures, and days in the sun. Make sure to find time to visit one of the Cabo San Lucas spas for a relaxing massage. Are you headed to Cabo? Prepare for the vacation of a lifetime. Cabo has something for every type of traveler, from luxury-seeking honeymooners to best friends taking a ladies trip, as well as serious outdoor and water adventurers. No matter what brings you to Cabo, make sure to take note of some of the best Cabo spas. Visit a spa to make the most of a relaxing, luxurious getaway—or get a Cabo massage to relax after days spent mountain biking, hiking, snorkeling, and scuba diving. 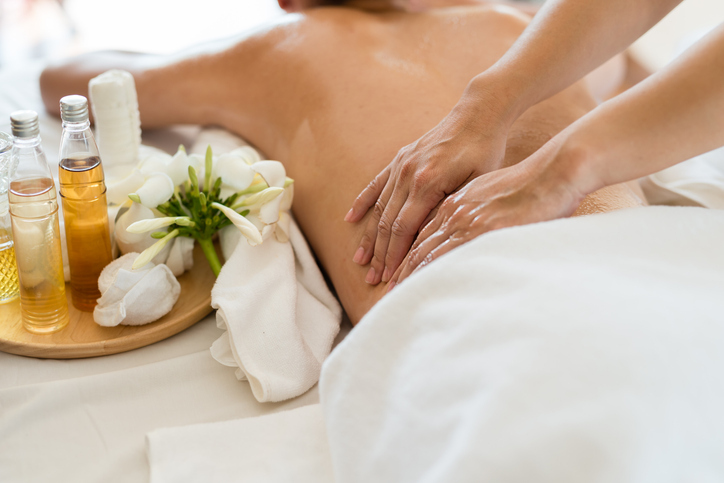 Take a look at some of the best places to go for a relaxing massage in Cabo. After a week of enjoying the sun, sand, and surf, book an appointment at one of the best Cabo spas. The serenity and renewal will restore your body and prepare you for the trip back home. Grand Velas focuses on a full sensory experience, combining touch with aromatherapy and organic ingredients. Find serenity and rest at a San José del Cabo spa, the Zen Spa. This spa is all about bringing you closer to nature. Adventurous travelers find excitement and inspiration in nature—but don’t forget that nature is also a source of rejuvenation. Complete with a cool pool, hot tubs and saunas, personal training, and yoga classes, the Zen Spa has everything you need to refresh your body and mind. Scrubs: Renew your skin with a bamboo or citrus scrub, or oxygen treatment. This full-service European-style spa was named a top hotel spa of Mexico, Central, and South America by Travel + Leisure. Make your vacation a time to relax by treating yourself to some “me” time at Armonia Spa. Mediterranean-style architecture, including marble and warm lighting, create a feeling of luxury. Enjoy steam rooms, cool and hot water pools, and Swiss showers. Mind and body are intertwined, and both are the priority at Cactus Spa. This spa is a sanctuary where you can come to heal your body and skin from your vacation adventures, and your mind and body from the daily grind of your everyday life. The decor of this spa draws on local flavors and is inspired by Mexican haciendas. Iron fixtures, glowing candles, large windows, and fresh fruit help you stay close to your exotic surroundings. Relaxation awaits at the luxurious Eforea Spa at Hilton Cabo. With individual treatment rooms, couple’s massage rooms, water massage tubs, steam rooms, a whirlpool, and in-room showers, there’s something for everyone. Choose from an array of therapies including native Mexican rituals along with world-renowned classic spa treatments. This pampering experience includes herbal teas and beautiful natural surroundings. For the ultimate in vacation serenity, make sure your trip to Cabo includes a visit to one of the many stunning spas. And for the more adventurous side of your vacation, check out Cabo Adventure tours.